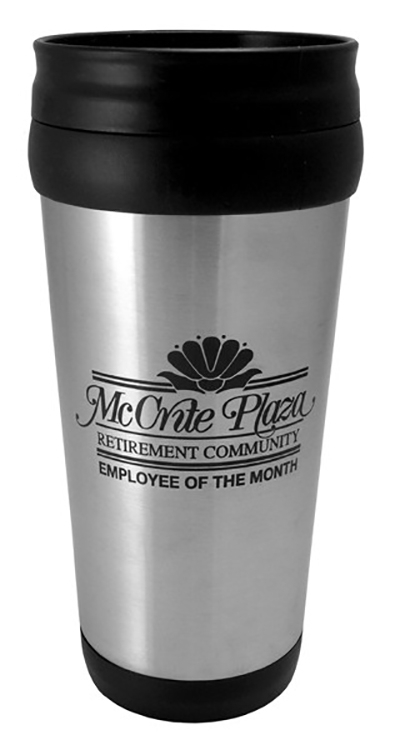 This competitively priced stainless steel travel mug perfect for most promotional needs! Its double wall design and thick lid are great insulation for hot or cold beverages. These attributes will make this a favorite and reused for a long time to come. This mug is the staple of the promotional products and barware Industry. The coffee mug is perfect for the beach, sporting events, tailgates, weddings, festivals, giveaways, and social activities! A durable, eco-friendly, fun, tumbler that will be taken home and reused. American made, this is perfect for any school, golf, real estate, or healthcare promotion! This drinkware is great to just keep around the house or in the car as an automotive cup. Additional Imprint Colors: Unfortunately, not available on this item. Lids: Included in the price. The lids are made of thick Black plastic and have a thumb-slid drink hole cover.